Price: Rs 119 for 100 gm, Rs 233 for 200 gm. Where to buy: Order on TheStore or official website here. 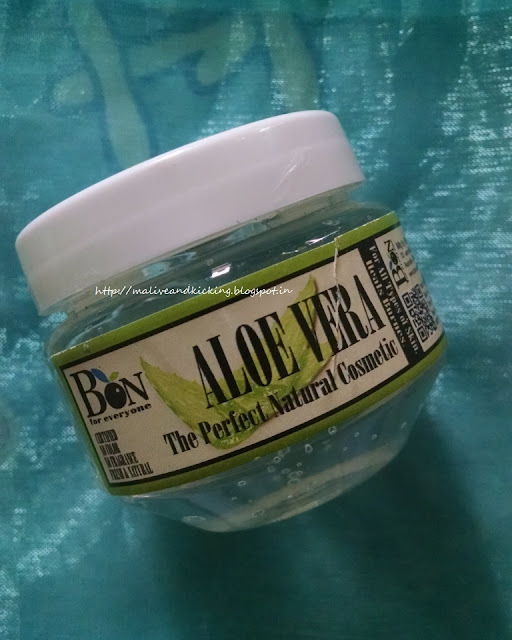 Bon Organic Pure Aloe Vera Gel is packed in a transparent plastic tub container with screw cap on it. The gel is crystal clear and gives sheer good feeling as you gaze at it. The gel is absolutely colorless and it feels like you have just scooped it afresh from the plant. The brand has preferred to keep it fragrance free for all natural feel to it. Still you may experience a faint smell that is almost non-existent. 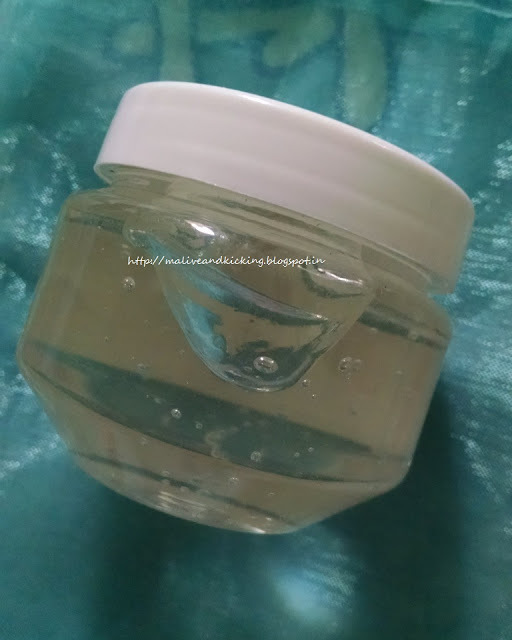 So its a plus for many people who avoid strong scents in skin care products. The gel is surprisingly non-sticky and light on skin unlike many others. I had been using aloe vera gel from few other brands in past, and most of them give a greasy feel for few seconds till proper absorption. But Bon Organic Pure Aloe Vera Gel is really quick to sink in skin. 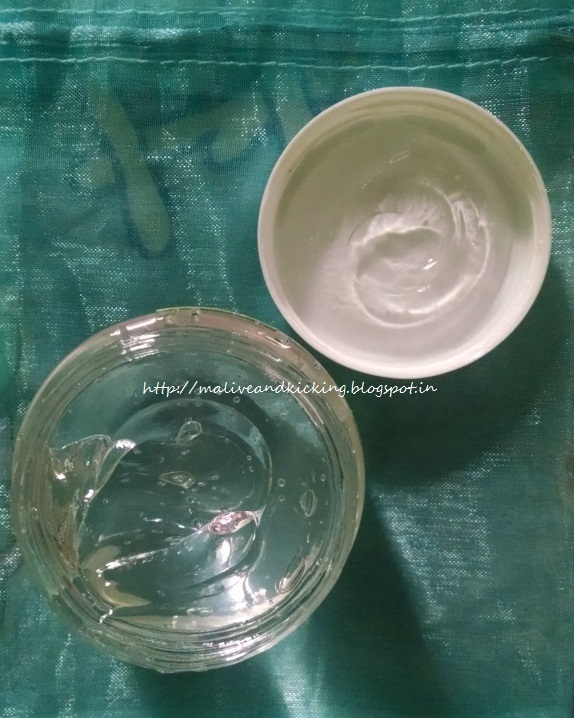 Its moisturization capability keeps my dry skin deeply moisturized for few hours, but not for whole day, so I feel the need of re-application 2-3 times depending on the requirement of my skin. I have used this gel as a makeup remover also. Just squeeze a dollop of pure aloe gel onto a cotton ball and swipe away in a minute. It works better than any makeup remover. I would have loved it in a tube packaging. No ingredients are mentioned on the packaging. 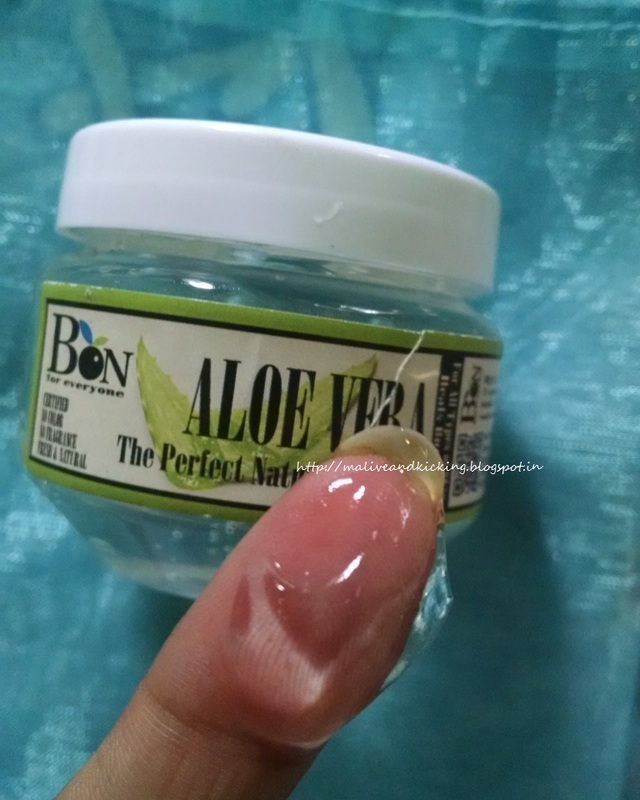 Bon Organic Pure Aloe Vera Gel is a purified gel to counter many skin issues including suntan, inflammation, minor cuts, burns or wounds etc. Its countless uses make it simply awesome to sooth and moisturize your skin with its healing and anti-inflammatory properties. It is even safer to use on delicate skin of children. You may mix it with your fav ingredient to tailor for your own skincare needs. 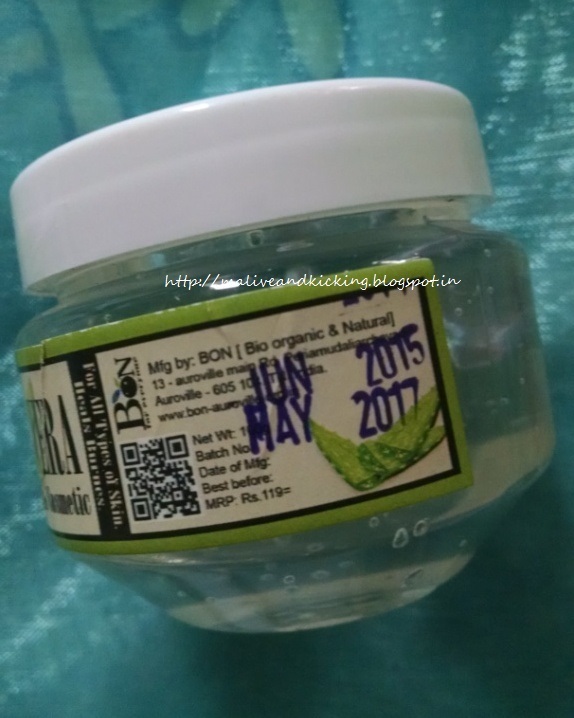 Labels: Bon Organic, Pure Aloe Vera Gel, review, Review.